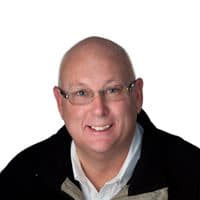 RADON TESTING | Chicagoland Home Inspectors Inc. If you’re buying a home in the Chicagoland area, get it tested for radon. There are two main reasons to test for radon; lung cancer and money. 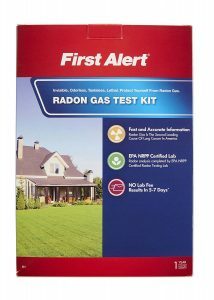 Our radon testing services are designed for real estate transactions; we give quick turnaround with 48-hour testing, we use continuous electronic monitors that give an hour-by-hour breakdown of the test results, our technicians are licensed by IEMA (Illinois Environmental Management Agency), we’re an independent third party, etc. If you’re interested in having your own home tested, your best option is to purchased a Do-It-Yourself test kit. We recommend long-term test kits for the most accurate results. We don’t sell them, but if you click on the picture on the right, you can order your own. Radon is a gas formed by the breakdown of uranium and radium, both of which are found in high levels in the Chicagoland area. There are a large number of homes in Minnesota with high radon levels. We’ve found that about one out of three houses have high levels of radon. Radon gas is the number one cause of lung cancer among non-smokers, and the second leading cause of cancer in America. Radon testing is recommended by the EPA, the Surgeon General, the American Lung Association, and the Illinois Department of Public Health. The area most at risk in a home is the lowest level that gets lived in. It’s new construction. Most cities, villages, and towns in the Chicagoland area require a passive radon mitigation system installed in every new house; this doesn’t mean radon will be eliminated, it just means the chances for elevated radon levels will be reduced. I’m buying a bank owned property or short sale. It doesn’t matter if the house has high radon levels. The sellers won’t be paying to fix it, and I’ll still want the house either way. Fair enough. It’s still a good idea to get a do-it-yourself test after you own the house though. Radon is a conspiracy of the government. Oh boy. We’ve heard this before, and we’re not going to get into that discussion… but just for the sake of argument, let’s say radon is a conspiracy. Who cares? Even if radon was only a perceived health problem, it would still be a liability. We’ve put together a ton of information about radon and radon testing in Minnesota. Click on any of the links below for more information.